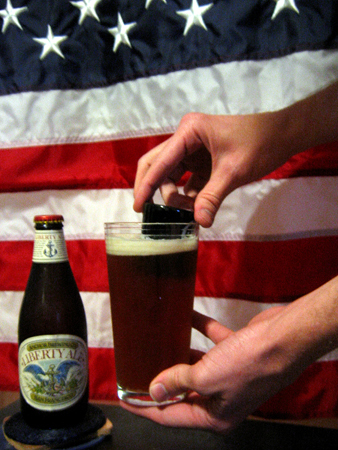 Beer Fellows: Beer links for Freedom! It’s July and we have a holiday smack dab in the middle of the week. Happy Independence Day everyone! I prefer my holidays adjacent to the weekend, but I’ll gladly take a midweek break this time of year. It's a bit New York biased, but to each their own. Someday we will get over the hop craze and equilibrium of flavor will occur. I wonder if Alabama legislators realize what they are missing out on regarding craft brewing. Interesting article on several fronts, environmental, energy, and our favorite beverage. It's official, a little bit of light has crept in. Check out the numbers for the other Midwest states. Thirsty folks. Do you think we are keeping old guard brewers awake at night? Next time I go to Fort Benning I will be going to the Cannon! Beer diplomacy? I will say I really want to go to Pakistan and interview these guys. Smart business move. Water conservation will be crucial for continued brewing success. What's the over/ under on how fast this fad fades away? Yay! This is rather exciting! We were trucking along pretty well until we got smacked around by the storm of Friday night which put a kibosh on all the power in my house. Power is back so you can expect the conclusion to the Borg Brugghus interview tomorrow. Since Independence Day falls on Wednesday excessive partying may not be in the cards but we have you covered since Rudy and I have sampled an assortment of non-alcoholic beers and will have our report out on the morning of July 4 to let you know if any of them are worth your time. Remember to follow us on Facebook, twitter, untappd, and Google +. Just go click on the widget in the top right corner.